Supporting fun and fitness at work in Phoenix, Miami, Washington DC, and other major cities. 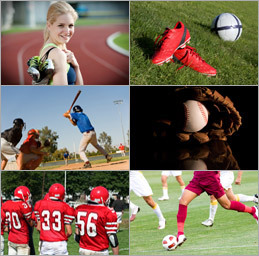 The game of soccer has been growing in popularity all over the country for many years. When the term "soccer mom" was coined, it helped to associate American culture with the game of soccer. Soccer is a fun game that can be played by just about anyone. When your company decides to start a corporate soccer team, you will find that the benefits are physical, administrative, and financial. Soccer is a game that can be paced differently for different people. The great thing about a corporate soccer league is that all of the teams will be made up of athletes and people who aren't quite athletes but want to get involved. There are times in soccer when a full sprint is necessary, and then there are long periods of time in soccer when it is more about positioning that speed. Anyone on your staff can join the company soccer team and reap the physical rewards. There is also the strong sense of teamwork that comes along with being on a corporate soccer team that makes a staff feel closer. Anytime you can enhance the sense of teamwork your staff feels is a winning situation for your company and your staff. Soccer is a game of strategy that allows anyone to be successful, so long as they play their part. Each person on the field has a unique job that they must execute for the team to win. Few games are better at corporate team building than soccer because the game allows each person to play an important role in winning the game and it forces each person to work well with the group. Once a corporate soccer team plays together for a while, each person starts to understand their role on the team. A soccer game rewards good teamwork with a win. It is an immediate and concrete way for your staff to see just how important good teamwork is to a successful organization. Over time, that successful teamwork will create better productivity in the office and generate the company more money. In this day and age when companies are canceling holiday parties and cutting salaries, a corporate soccer team sends a strong positive message to your staff. Not only does it offer your staff members an outlet to play a game with each other that can be fun, but it also strengthens the sense of loyalty and commitment that employees have to the company. A corporate soccer team becomes a source of pride for the staff, even if the team is not a particularly good one. The fact that your company sponsors a corporate soccer team for your staff speaks volumes about the value you place in the people who work for you. A corporate soccer team can become a strong recruiting tool and it will also help to decrease employee turnover. Each time your company loses an employee, it costs you thousands of dollars to find a replacement. A corporate soccer team decreases employee turnover and saves your company thousands of dollars a year. It is a smart investment that will keep your company strong and viable. 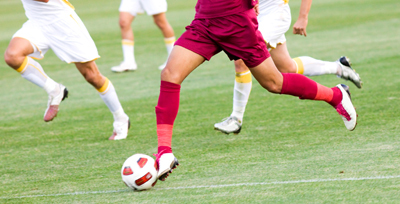 You will find that corporate soccer leagues run all year round. In some areas, there are even indoor leagues for the winter months. It is a game that can be played any time of the year and it takes very little effort for your company to get a team started. Check out the available corporate soccer leagues in your area and find the one that is best for your company. When you decide to join a corporate soccer league, you should make it a major announcement to your staff. The more excited the company is about the league, the more interested employees will be to try it out. As long as the company has enthusiasm for its corporate soccer team, the staff will share that enthusiasm as well. A corporate soccer team is a very small investment to make when you consider the financial returns that it brings. Not only does a soccer team reduce turnover, it also improves morale which increases productivity. Instead of losing thousands of dollars a year to turnover, your company will be making thousands of dollars extra per year because of increased productivity. That kind of investment makes great business sense, no matter how you slice it.